Lake Havasu Vintage Trailer Campout- Coming Next Weekend! Have you ever heard of such a thing as a Vintage Trailer Campout? Lake Havasu has done it again! We always find a way here to have the most fun, and the most creative events. For the 3rd year, this campout will bring out the grooviest looking trailers you’ve seen. Be sure and mark it on your calendars for February. Come on out and walk around. Visit and see for yourselves, up close and personal, these throwback campers! Even bring your pups to walk around during spectator hours on Friday and Saturday from 10-3. Just make sure they are on a leash and stay off the white sand beach. The event will take place at Lake Havasu State Park where visitors can enjoy the beautiful views of Windsor Beach. Lake Havasu State Park is conveniently located just south of the city. Visitors of the park enjoy camping, boating, fishing, and the beautiful trails that take you through the desert, wildlife, and the shoreline. A park favorite is the Arroyo-Camino Interpretive Garden which brings to light the different types of life that live within the park. Since the park is a part of the desert area, you can expect to see birds, lizards, and even cottontail rabbits! 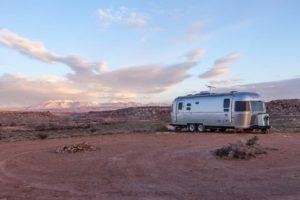 While you are out to look at the vintage trailers, be sure and take time to spend in the park walking around, viewing nature, the lake, and the desert at its best. Click here to view more about the Lake Havasu State Park. If you are staying to camp, you are in for a treat. Enjoy a full schedule of activities from a meet and greet, to a yummy potluck dinner, and access to park activities like hiking trails, a cactus garden, and a local swap meet on Sunday. Buy, sell, trade with other vintage campers at this time. There will be a group area for general use such as coffee in the morning and mingling. Make friends, and memories to cherish which will keep you coming back, year after year to Lake Havasu Arizona. Reservations are required, so grab your spot now. Showers and restrooms are on-site. Open to the General Public Friday and Saturday from 10am to 3pm. This Lake Havasu Vintage Trailer Campout information is brought to you by: Lori Dee Doerfler, For All Your Lake Havasu Real Estate Needs!